Social welfare in China has emerged in recent years as a major cause of migrant workers’ discontent and collective action. Reforms of the social welfare system in China since 2002 have expanded coverage and protection of vulnerable populations, but structural problems remain for migrant workers to access and receive the full benefits of the social safety net. 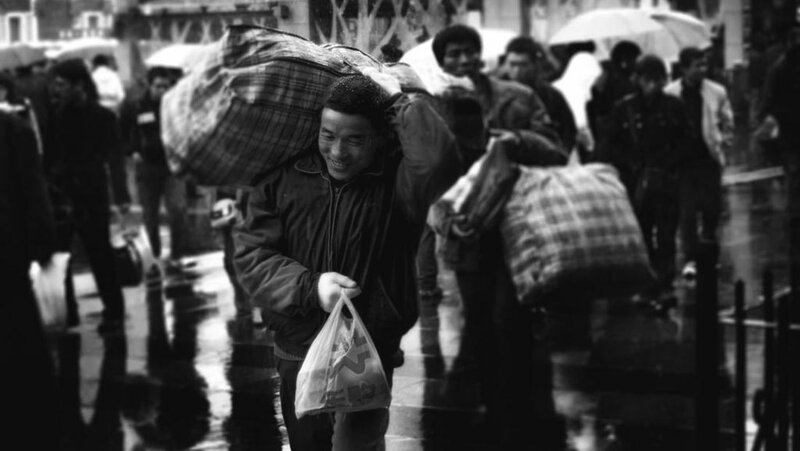 How has the social welfare system evolved, and what are the challenges facing migrant workers? How can the system be made more sustainable? Social welfare—understood broadly as encompassing public services, social insurance, and social relief—has long been primarily the privilege of the urban population. From the inception of the People’s Republic in 1949, urban citizenship—defined by people’s household registration (hukou) status—provided urban residents with access to employment, housing, education, and social insurance not available to rural hukou holders. China’s rural-urban divide has, thus, in many ways been defined by this gap in welfare provision. The traditional ‘iron rice bowl’ (tiefanwan) system, based on work units (danwei), provided urban workers with ‘cradle to grave’ employment, services, and security, but—perhaps more importantly—it also gave these workers an identity and a sense of entitlement. This perception of having a right to state provisions was not developed among China’s vast rural population, since they received very limited or no state funding for welfare provision. With the start of the reform era, workers’ identity and sense of entitlement had implications for the demands for provision they made on the state, but also with regard to whose benefits the state decides to maintain or cut. By the late 1990s, for example, China’s previously privileged old working class was laid-off in the millions from stateowned enterprises—the majority left without welfare benefits (see also the article by Kevin Lin in MIC 1/2016). In the meantime, up until 2015, civil servants had largely retained their superior social insurance benefits, funded in their entirety by the state. In contrast, having had limited or no experience of state support, most rural-to-urban migrant workers had not had a sense of entitlement to urban goods and welfare, not least because in most cases their rural hukou continues to deny them membership in the cities. And yet, among the second generation of rural migrants—born after 1980 and with weaker links to the countryside—that has begun to change. These workers are demanding better pay and working conditions. Their reaction to, and demand for, social insurance entitlements, however, has been less enthusiastic. This is in part due to the shortcomings and limitations of the social insurance system itself. China’s social insurance system is highly fragmented. While hukou differentiation may be the more obvious element of that fragmentation, other factors related to the way in which these insurance programmes are funded, managed, and implemented have perhaps had more serious implications for their provision. Like economic policy, social policy implementation in China is highly decentralised, and thus dependent upon local state capacity, particularly financial well-being. The more developed and wealthy provinces of the east coast have thus been better able to meet policy mandates from the central government around the delivery of public goods, social insurance, and welfare benefits, and have often even surpassed the level of benefits established by the centre. In contrast, having no revenue to match their welfare responsibilities, many local governments in the central and western parts of China offer, at best, very patchy provision. A longitudinal study on the social determinants of health, for example, found region (where a person lives) to have the strongest effect on an individual’s health status (gender and age being the other two most important determinants). This decentralisation, including the fact that funds for social insurance are pooled locally, has meant that funds accrued in individual worker accounts have not been transferable between jurisdictions. This lack of transferability is one of the biggest disincentives for migrant workers to enrol into the social security system, even when special insurance programmes for migrant workers have been created, as has been the case in Shenzhen and in other cities. Furthermore, these social insurance programmes for migrants usually provide lower benefits than those covering formal urban employees, and there have been various well-publicised cases of employers not paying their contributions into those schemes. Rural migrant workers are thus—understandably—reluctant to join a system that will result in less cash-in-hand and limited benefits only available in situ. In order to allow for the transferability of funds accumulated in individual workers’ social insurance accounts, since 2008 the central government has promoted the ‘harmonisation’ of rural and urban social insurance programmes, with the aim of creating a unified national social security system. In practice, however, this rural-urban harmonisation has thus far tended to result in local welfare protectionism, whereby the more prosperous provinces are unwilling to share their larger fund pools with workers from outside their jurisdiction. Chongqing’s municipal government, for example, has successfully unified its rural and urban social insurance programmes for those with a local hukou, but those from outside the municipality remain left out. Given that rural migrant workers are now more likely to be working outside their home province, in the short to medium term the rural-urban harmonisation process is likely to only benefit a minority of migrant workers. The policy and rhetoric coming from the centre, however, has continued to promote the inclusion of rural migrant workers into the urban social security system, as evidenced by the latest iteration of the Social Insurance Law, passed in 2011, which made the enrolment of migrant workers into the urban social insurance programmes compulsory. Local governments have nonetheless not been too keen to police the implementation of this law, for fear of upsetting local businesses and industry. Employers in China have indeed faced some of the highest employee insurance contribution rates in the world, with rates of up to forty percent of employees’ wages. In some provinces and municipalities, contributions into the old age social insurance alone have stood at more than twenty percent of the payroll. This serves to explain the prevalence of casual and informal employment without benefits, in which the majority of rural migrant workers are involved. China’s economic slowdown is likely to result in yet fewer employers willing to enrol migrant workers into the social insurance schemes mandated by law. In response to this, earlier this year the central government reduced employer contribution rates for pension and unemployment insurance, and for the housing provident fund. Nevertheless, the central government is likely to continue to put pressure on sub-national governments to enrol rural migrant workers into the social insurance system, because it now realises that the financial sustainability of the system will depend on bringing in more contributions from the working-age population. As a cohort, rural migrant workers are, on average, younger than their urban counterparts; these younger worker’s social insurance contributions are hence necessary to sustain the needs of China’s ageing population and the sustainability of the pension system. The first generation of rural migrant workers is also ageing and has begun to demand access to medical insurance and to a pension. More generally, the needs and demands of rural migrant workers for public services and social security are also changing. For example, the number of migrants travelling with their families has increased substantially over the last couple of decades. These migrant families have different housing needs, their children need access to local child care facilities and schools, play areas, medical services, and so on. While workers’ movements, strikes, and demonstrations have, in several instances, won rural migrants workers better working conditions and pay, the expansion of social insurance and welfare programmes has largely been a top-down affair. More recent demands by migrant workers over social insurance payments, such as in the case of the 2014 strike at Yue Yuen—a shoe manufacturer and Adidas and Nike supplier—have also served to influence the government’s decision to expand rural migrant workers’ social insurance rights. Again, the concern over a reduced worker/pensioner ratio and the burden that this will place on China’s social security system is likely to maintain the commitment of the centre to expand coverage to include rural migrant workers. Some provincial governments, as stated earlier, are likely to continue to delay that process. Apart from financial considerations, Mark Frazier has also argued that it would be unwise for the Chinese government to retreat from the politics of inclusion and access to social policies introduced as part of Hu Jintao’s campaign to build a ‘Harmonious Society’ (hexie shehui) and continued under Xi Jinping’s ‘Chinese Dream’ (zhongguo meng). Rather, what economic slowdown might bring about is a reduction in the level of benefits that employees receive, as signalled by the recent cutback to mandated employer contributions into social insurance programmes. Universal coverage may well soon be achieved, but at a very basic level of coverage. Whether this will constitute a real safety net for all remains to be seen. Photo Credits: Migrant Worker in Shanghai, Peijin Chen on Flickr. This article was originally published on Made in China, ISSUE 4, 2016. 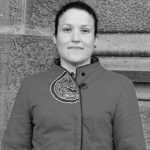 Beatriz Carrillo is an Associate Professor at Xi’an Jiaotong Liverpool University in Suzhou, China. Her research focuses on social exclusion and inclusion of rural migrant workers, welfare policy, social determinants of health, and philanthropy in contemporary China.